Miller, Daniel P. “SIREN 2015 Lecture Review: ‘Leading and Communicating when Technology Fails’.” Social Epistemology Review and Reply Collective 4, no. 5 (2015): 20-24. Miller, Daniel P. “SIREN 2015 Keynote Address Review: The Nuclearity of Disaster.” Social Epistemology Review and Reply Collective 4, no. 3 (2015): 31-35. Miller, Daniel P. “SIREN 2015 Lecture Review: ‘The Last Resort at Fukushima Daiichi’.” Social Epistemology Review and Reply Collective 4, no. 4 (2015): 49-53. Sociologists and engineers call it “the human factor.” It’s what we must depend on when all the glittering technology seems, suddenly, useless. — Gene Kranz, former NASA Flight Director (2000, 12). The Seminar on Interdisciplinary Research and Education in Nuclear Emergency Response (SIREN) held its third talk on 17 March 2015 with Dr. Charles “Chuck” Casto presenting, “Global Nuclear Leadership in the Extreme: Crisis Leadership Post-Fukushima.” Hosted by Dr. Sonja Schmid of Virginia Tech in Arlington, Virginia, SIREN is part of a National Science Foundation (NSF) CAREER grant that focuses on allowing nuclear power experts to share their knowledge on nuclear emergencies. Dr. Casto has decades of nuclear system knowledge and experience with complex and hazardous sociotechnical systems. His experience and subject matter expertise covers a broad spectrum from that of an explosive ordnance disposal expert for the United States Air Force, a nuclear reactor operator and systems instructor, to a senior executive at the U.S. Nuclear Regulatory Commission (NRC). What is most distinctive about Dr. Casto’s experience, and what he most effectively brings to SIREN, is that his knowledge of nuclear emergency comes not just from theory or even post event analysis, but from being a participant in the response to and recovery from a nuclear disaster. Chuck Casto was there. He was the U.S. government’s technical and emergency response liaison during Japan’s Fukushima Daiichi nuclear disaster. Castro set foot on site at Fukushima Daiichi just days after the tsunami had devastated the power plant system and surrounding communities. With a small American team, he set about to provide whatever assistance he could in helping his Japanese nuclear community colleagues respond to the disaster as the world watched. In the context of Dr. Casto’s perspective as the senior U.S. nuclear expert what was he up against at Fukushima Daiichi? The Fukushima Daiichi nuclear power system, like all nuclear plants, was one of a closed system (Scott 2003) and supremely technical and rational world contained in concrete and steel, literally locked away behind high fences and multiple layers of security. The system’s nature of operation further removed it from society’s grasp since few modern technological systems are as “complexly interactive and tightly coupled” (Perrow 1999, 5). The complexities of safely operating and reliably maintaining a large industrial system are staggeringly compounded by the need, without fail, to control nuclear fission and protect people and the environment from radiation. Furthermore, the interactions of the system components are highly interdependent with little time gap between actions. In other words, due to this close coupling, reactor operators must continually monitor and stay ahead of the system to prevent problems and failures from rapidly escalating out of control or even beyond their comprehension. Day-to-day plant operations are generally only loosely coupled with external entities such as government oversight agencies and local communities. These interactions primarily deal with inspections and reporting of compliance or non-compliance with operations, maintenance and safety standards. Before 11 March 2011, the Fukushima Daiichi power plant was just such a complex, predominately closed system isolated by protective design and the esoteric technicalities of rationalized procedure. Fukushima Daiichi became unimaginably different after the earthquake and tsunami destruction, but it remained a system nonetheless. Even with massive damage it was still a system with components requiring monitoring and control. Also, in contrast to a closed organizational system, it was now suddenly more open and connected to the direct influence of outside agencies. These two areas of system functionality are where Casto brings focus. First, in its normal mode of operations, Fukushima Daiichi was operated through the use of highly structured sets of known and understood processes and procedures. The tsunami switched the Fukushima Daiichi nuclear system from operating in this normal mode to what I call a failed mode. This mode is a situation where the original system infrastructure is destroyed and the operators’ well-practiced rational procedures are suddenly useless; virtually nothing previously documented can be applied to the now failed and unknown system. The failed condition of the system is also invisible to the operators. At Fukushima Daiichi the tsunami had destroyed all electrical power sources, including emergency backup, that were used to power reactor monitoring and control systems and, most critically, water pumps used to cool nuclear reactor fuel Casto worked with Masao Yoshida, the Tokyo Electric Power Company (TEPCO) site superintendent at Fukushima Daiichi. Yoshida-san described the situation this way, “My staff were like blindfolded pilots in the cockpit of a plane with its hydraulics and everything else shot to pieces. How were they supposed to get down safely?” (Kadota 2014, 43). What the Fukushima Daiichi nuclear reactor operators did know was that to have any chance of getting down safely they had to cool the plant’s reactor fuel to prevent further meltdown and catastrophic radiation release that would force abandoning the plant and the surrounding countryside. With that realization they knew that they had to rapidly begin constructing knowledge of this new failed mode system and learn how to gain some semblance of control. Second, in its normal mode of operations, the plant was only loosely coupled with the Japanese government’s nuclear regulatory authorities and the public. In that normal condition, communications between TEPCO and the Japanese government and the community were generally comprised of formal inspections and reporting mechanisms. These typically would have been administrative and would have had little immediate effect on day-to-day operations of the nuclear power station. Now, as Fukushima Daiichi was transformed into a failed mode system the coupling to its societal environment tightened dramatically. The system suddenly had to produce information, continuously demanded by the government, the public, and also the world nuclear community, on a system they no longer understood or controlled. Government and society moved from a loose coupling of administrative oversight to being pulled to Fukushima Daiichii in a tight coupling of operational demands for control and information. Not only did the nuclear operators face the prospect of dying if they were unable to gain understanding and control of the system, but they also had to integrate an unprecedented external demand for information on their progress to include government orders that often conflicted with their ability to successfully wrestle with the failed mode system. The Fukushima Daiichi reactor operators were not indecisive in their actions. In the SIREN seminar, Casto makes it evident that effective response to disasters such as Fukushima Daiichi requires decisive implementations of what he calls “crisis leadership” and “crisis communications.” The story of his eleven months engaged with the nuclear disaster at Fukushima Daiichi bears this out. The Japanese nuclear operators, and Casto, created emergency response actions, on the fly, and constructed extremely innovative ways to operate a complex, and tremendously dangerous sociotechnical system that had been transformed into something nearly unrecognizable and previously unimaginable. The nuclear operators not only took action to confront the immediate dangers and stabilize the system, but also created strategies and methods to communicate the results of their actions, the risks involved, hazards to the public and what the nation (and the world) was desperate to know; would their efforts to prevent total destruction of the Fukushima Daiichi power plant succeed? Casto showed how the skill and art of human leadership and a rational structure for coherent communications were key in the Fukushima Daiichi disaster response. Casto outlined a structure of varying characteristics of required leadership for crisis situations that covers the routine, extreme, and the dangerous. The routine is just that, leadership based on known procedures, exercised response activities and established formal and informal relationships among personnel. Leadership in the extreme or dangerous crisis is the stabilizing force that brings structure and coherence together more quickly. The leader, as Casto stated, must keep the “big picture” in view in order to effectively make sense of the situation in real time and organize activities or, at the very minimum, point personnel in the general direction of what seems to be the solution. The crisis leader is the emergency catalyst that brings a failed mode sociotechnical system together and enables emergency operation. 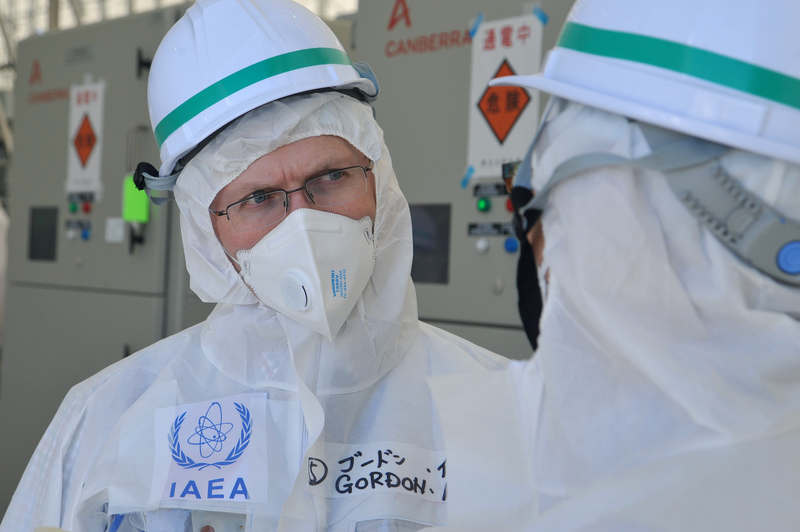 Even with the nuclear operators working in emergency coordination within the disaster area of the Fukushima Daiichi power plant, this extraordinary direct effort also required their system to produce and deliver information for the outside world; a world that ranged from the local communities, to the nation and, ultimately, to the global community. When Fukushima Daiichi became a failed mode system its complexity increased to a global scale and its coupling with society was tightened to the point of requiring nearly instant communication of information from TEPCO to the Japanese government and the public. In his opening comments Casto reminded us that, “the earth is flat” and hazards to society posed by the failure of its technologies do not simply have local effect, but often have global consequences. Thus, argued Casto, our modern world—described by Ulrich Beck as a “risk society” (1999, 19)—demands global leadership to effectively respond to technological failures. We can no longer limit ourselves to islands of response to failures of hazardous technologies since their effects cross national borders and infiltrate the natural global environment. Casto showed himself as a pragmatic problem solver with a nuts and bolts sense of how to communicate the rapidly unfolding events at Fukushima Daiichi to both Japanese and American national political leaders. He described how he invoked the image of goal posts, from American football, as a framing metaphor to bound the endless points of data and nebulous information being created by the disaster. What’s important? What should be told? What can be ignored? Which direction is the disaster headed? At one point during the disaster response, Casto set the goal posts as the worst-worst case (Unit 2 explodes and releases a radioactive plume) and he straightforwardly set the other goal post as the best-worst case (the status-quo) since a disaster, by definition, can’t have a best case. By bounding the incoming information, he could limit the amount of turbulent data chasing, and subsequent erratic reporting of the disaster’s status. Casto offered bluntly that you have to avoid chasing the irrelevant to keep from doing “stupid things” that squander critical resources and that potentially send a message to leaders and the public that the situation is getting worse when it may not be. Castro emphasized that the wrong messages can precipitate what he calls “social amplification” of risk perception where, with tight system coupling, governments and the public can directly affect, and potentially interfere with, the system’s disaster response operations. He argued that when social amplification takes over, in an emergency situation, wrong decisions are generally made. Casto’s perspective is one that if there is a tight coupling between a failed mode system, and external national governance agencies, it requires a controlling communications strategy (such as his goal-post framework). With his SIREN lecture, Dr. Chuck Casto provided nuclear professionals, governments and the public with an invaluable perspective on nuclear emergency response. His knowledge and working experience was directly constructed and informed by being within shouting distance of the destroyed Fukushima Daiichi reactors at a time when it was far from certain if even heroic response efforts would succeed. Casto shifted our view of disaster response knowledge creation from a focus upon hard-constructed technical artifacts of reactors, cooling heat-sinks, radiation doses and potential contamination plumes to the very human space of control in a life threatening situation. He presented us an authentic story of what it really takes to be a leader and technical manager, with the world looking over your shoulder, when one of society’s modern systems fails and threatens that society. Beck, Ulrich. World Risk Society. Malden, MA: Polity Press, 1999. Kadota, Ryusho. On the Brink: The Inside Story of Fukushima Daiichi. Fukuoka: Kurodahan Press, 2014. Kranz, Gene. Failure Is Not an Option: Mission Control from Mercury to Apollo 13 and Beyond. New York: Simon & Schuster, 2000. Perrow, Charles. Normal Accidents: Living with High-Risk Technologies. Princeton Paperbacks. Princeton, N.J.: Princeton University Press, 1999. Let’s look at this specific example as a metaphor for a civilization being predicated on the “going business” model that relationships, norms, morals are all understood and accepted for a given moment. Even wars have rules, so WWII killed some 50 million but not half the world, which could have happened had we nuclear weapons and no norms of constraint. A small thing such as 9-11 broke this closed system, and the U.S. felt entitled to enter the middle east, a classic set of understandings of power relationships that provided the the first rule of organization, which is protection of chaos, normlessness. The U.S. had always accepted the most vicious autocracies as long as they preserved the order of things, and our democracy never cared because having national myths is part of the system. The Chinese film “Back to 1942” described a famine in the midst of the Japanese invasion destroyed the internal norms of village, region and country. A human being was transformed from friend- family- acquaintance to possible food source. Cannibalism broke out in this ancient civilization, and none of the previous principles worked to ameliorate the condition. Part of the advance of civilization is inherently a loss of independent ability to survive. We depend on ever more complex technology that does not provide for a plan B. I lived in the heart of Manhattan for many years, knowing that we were all stuck on that Island, as it would take weeks to evacuate with no place to go. So, we move towards making our systems more efficient which we can only do if we ignore the possibility of the once in a millennium events, a solar flare such as occurred called the Carrington Event that could destroy all the electrical grids in a hemisphere. It would take a few billion to prepare, but there is no political will for this, any more than really dealing with Climate Change. We live for the virtual moment, and it could be that this is the best that our species can do.